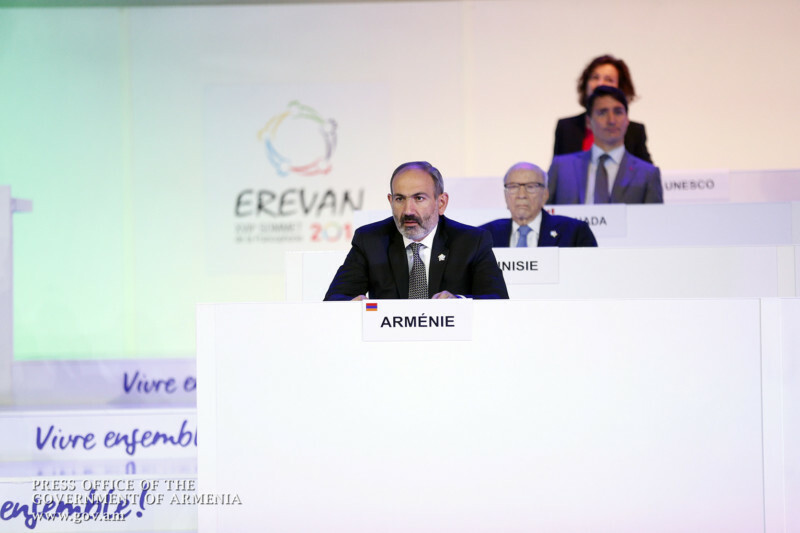 It is a great pleasure for the entire Armenian nation to welcome 17th Conference of the Francophonie, Armenia’s Prime Minister Nikol Pashinyan said in an address to the participants of the Summit. He welcomed everyone to Armenia – the cradle of civilization, to Armenia with millennia-long history, which celebrates the 2800th anniversary of its capital Yerevan this month, to Armenia with a strong identity, creative energy and dynamics, which has sustained the tragedy of 1915 genocide and is moving forward confident in its future. 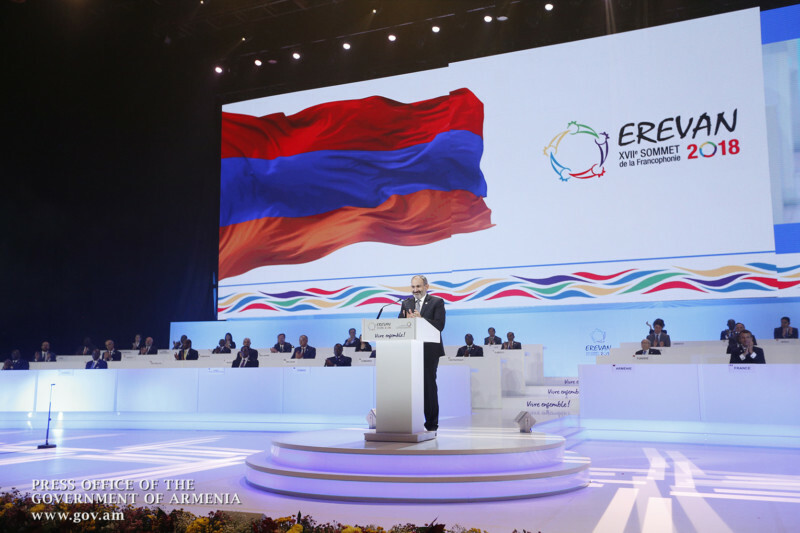 The Prime Minister said Armenia is aware of the burden of responsibility and wishes the event to remain in everyone’s memory as one of the exceptional moments of the Organization’s institutional life, as an important expression of Francophone co-existence and solidarity. “Armenia is proud of its membership in the International Organization of La Francophonie, which is a common platform for cooperation, dialogue and exchange,” he said. Nikol Pashinyan said the Summit will address a number of challenges facing the humanity such as issues of peace, democracy and stability, fight against climate changes and terrorism or migration problems. The Prime Minister attached importance to doubling efforts to prevent new genocides, war crimes and crimes against humanity. “The existence of conflicts forces us to reiterate our commitment to solving conflicts in a peaceful way within internationally accepted formats. This applies to the Nagorno Karabakh conflict, as well,” PM Pashinyan stated. “We are confident that Nagorno Karabakh should have a decisive voice in the peace process and determine its status based on the right of its people right to few expression of will,” Pashinyan stated. At the same time stressed the importance of security for Nagorno Karabakh. “We believe that establishment of an atmosphere conducive to peace is key to furthering the negotiation process and all our efforts are targeted at reaching a rapid and comprehensive agreements on confidence-building measures, which are of vital importance for preparing the populations of the all parties to the conflict to peace,” the Prime minister stated.